Hello, yoga mat! How I have missed you! It feels amazing to get back onto the mat! I took a short break while doing Whole30. Too much stuff to focus on, and I don't want to stress myself out with so many challenges. Backbends are the ultimate worst thing for me. I am not a fan, but that is my goal in 2015. I want to get better at leaning back - way back. So, I was practicing my forearm balance yesterday, and decided to try a little Scorpion Pose. This felt AMAZING on my back. I love using the wall for support - it helps me with balancing, and it's always there when I fall out of the pose! 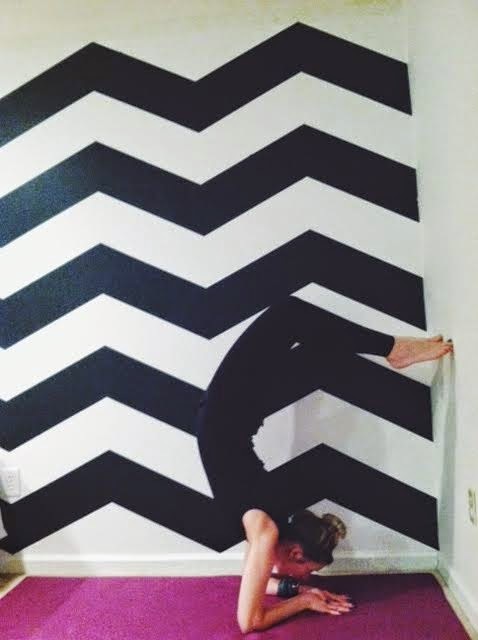 Can't wait to keep practicing this, and getting bendy with this!